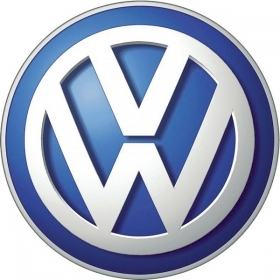 BERLIN (Bloomberg) -- Volkswagen AG, Europe's largest carmaker, said sales increased 5.7 percent in June helped by demand in China and the United States. Deliveries advanced at all volume brands including the Audi luxury division and Czech unit Skoda, rising to 644,600 cars and SUVs from 609,900 a year earlier, the Wolfsburg-based company said Friday in a statement. Half-year sales gained 16 percent to 3.58 million. Volkswagen is targeting a second-consecutive year of record deliveries as it adds about 70 models, including upgrades, in 2010. The carmaker said July 15 it will build its 11th plant in China as part of a plan to double production capacity in its biggest market to 3 million vehicles within four years. China, where Volkswagen is investing 6 billion euros ($7.8 billion), is critical to CEO Martin Winterkorn's goal of surpassing Toyota Motor Corp., the world's biggest carmaker, in sales and profitability by 2018. VW's sales in the world's biggest auto market surged 46 percent in the first six months to 950,200 vehicles. Half-year deliveries in the United States increased 29 percent to 175,300 units while European sales gained 4.7 percent to 1.74 million vehicles, the company said. Sales in VW's German home market declined 15.9 percent. Volkswagen said on June 16 it expects operating profit and deliveries to increase “significantly” this year. The manufacturer will publish first-half results on July 29.